Across the world, New Orleans has a reputation for its mysterious, sometimes obscure, and often interesting destinations. If you either live or visit the Big Easy, you may want to find sites that give you a deeper sense of the NOLA’s culture and heritage. This small museum is a must-see in New Orleans. Founded in 1972, the museum is dedicated to Louisiana or New Orleans Voodoo traditions and inducts visitors into the mystical knowledge for nearly forty years. A mixture of African and European occult traditions, New Orleans Voodoo Museum offers plenty of history and significance to the city. It was originally brought to the city in the early 18th century through the African slave trade. Inside, visitors find voodoo relics, paintings, sculptures, and more. Psychic readings are available for $40 by resident voodoo priest John T.
Inside the gift shop, visitors can find the basic books and candles, but more adventurous guests may inquire about the Voodoo Love potions, chicken feet, snake skins and those famous Voodoo Coffin Kits. If you’d like more adventure, the museum also organizes walking tours of the famous St. Louis Cemetery where guests can see the tomb of Marie Laveau, one of the most famous and legendary practitioners of New Orleans voodoo. Sazerac, the first American cocktail, is thought to originate from New Orleans. But did you know you there is a museum dedicated to it? The Museum of the American Cocktail offers guests the opportunity to take a tour of the history and evolution of the cocktail. Originally a traveling exhibit, it set up permanent residence inside the Southern Food and Beverage Museum located right by the New Orleans waterfront. Inside you can find hundreds of cocktail and bar memorabilia like antique bottles, cocktail shakers, and prohibition era propaganda. Keep an eye out for mixology seminars when you go! 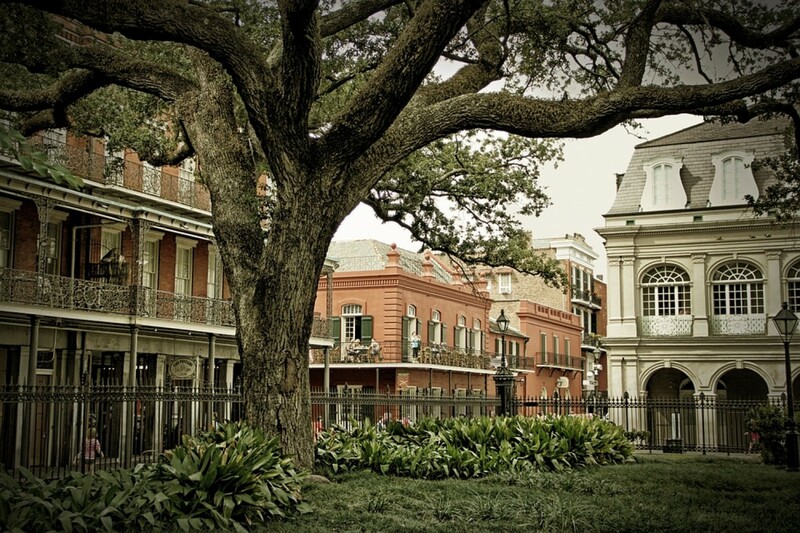 Considered to be the most haunted site in New Orleans, the LaLaurie Mansion is a historic French Quarter icon. In 1834 a fire broke out in the house where fireman found a gruesome sight. Apparently, the spirit of several of Madame LaLaurie’s tortured slaves are still said to haunt the mansion. TV buffs may recognize the name as the main character from American Horror Story’s Coven season. Even if you don’t believe in ghost tales, the architecture provides great historical insight into the mid-1800s time period of New Orleans.